Looking for ways to keep free time both fun and enlightening? Check out what's local! 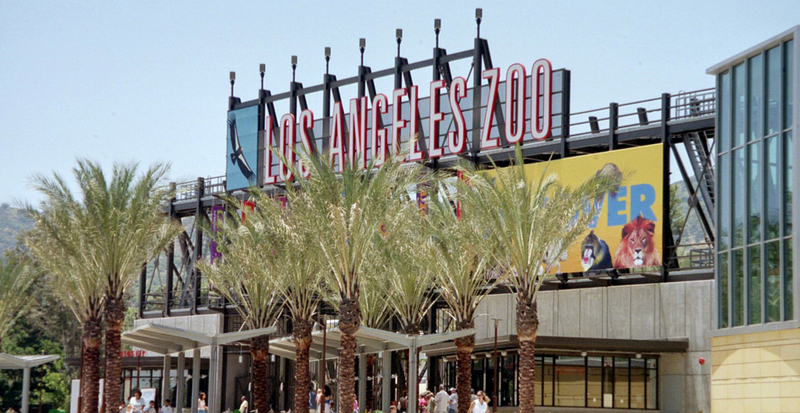 Listed below are several LA attractions. Clicking on the title will take you to their website so you can check out their latest events. The Aquarium of the Pacific is the fourth most-attended aquarium in the nation. It displays over 11,000 animals in more than 50 exhibits that represent the diversity of the Pacific Ocean. 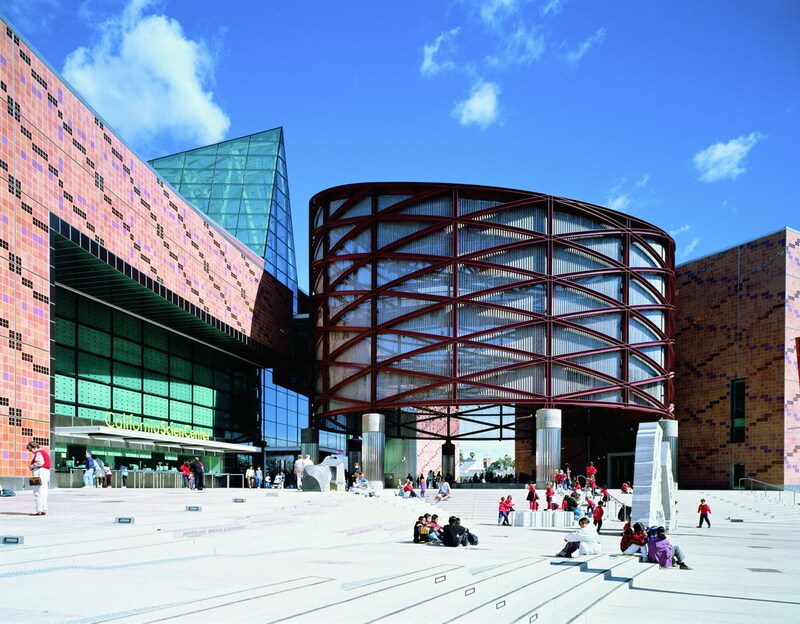 Each year more than 1.5 million people visit the Aquarium. 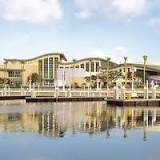 Beyond its world-class animal exhibits, the Aquarium offers educational programs for people of all ages from hands-on activities to lectures by leading scientists. Hours: 9:00am to 6:00pm daily. Admission: Adults $29.95, 3-11 $17.95, seniors $26.95. 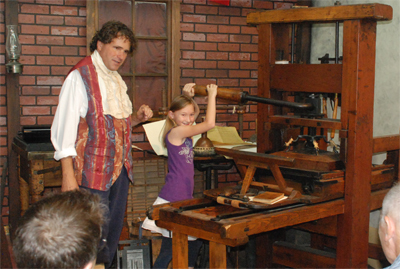 The International Printing Museum is a public non-profit organization and was founded in 1988 by David Jacobson and Ernest A. Lindner and features The Lindner Collection of Antique Printing Machinery. Hours: 10:00am to 4:00pm on Saturdays, Tuesday—Friday by appt. Admission: Adults $10, students $8. Step Right Up! takes viewers behind the scenes of the circus, exploring the dramatic pageantry, colorful past, and living presence of this grand American theatrical tradition. This stunning exhibit features posters, costume regalia, historic photographs, billboards, graphics and oral histories from past performers. Hours: Monday: Closed; Tuesday, Wednesday, Friday, Saturday & Sunday: noon to 4:00 pm; Thursday: noon to 8:00 pm. Admission: Adults $4; children 6-12 $1. 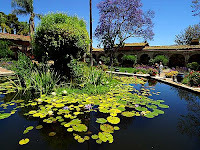 Mission San Juan Capistrano, historic landmark and museum, is the Birthplace of Orange County. It was founded more than two hundred years ago as the 7th of 21 missions statewide, and one with a chapel still standing where Fr. Serra once celebrated Mass. Today it is a monument to California's multi-cultural history, embracing its Native American, Spanish, Mexican and European heritage. 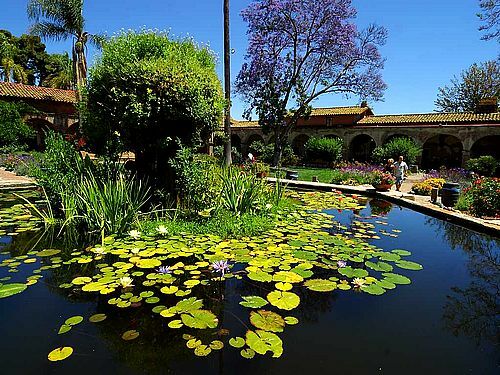 Originally built as a self sufficient community by Spanish Padres and Native Americans, the Mission was a center for agriculture, industry, education and religion. Hours: Open Daily: 9:00 a.m. - 5:00 p.m. Admission: Adults $9, kids 4-11 $6. The USS IOWA is located at Berth 87 at the Port of Los Angeles. 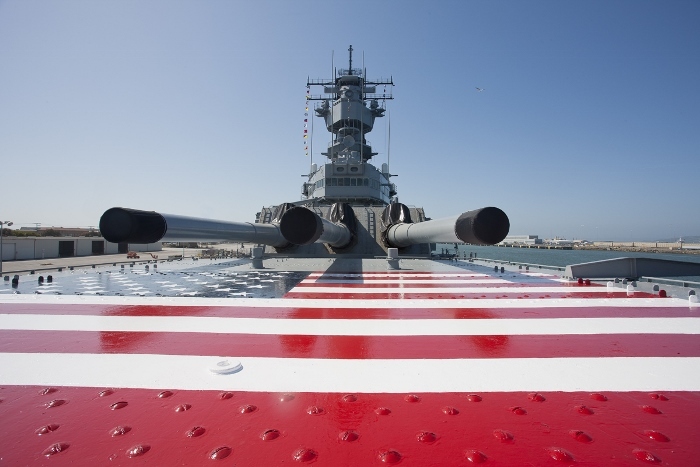 Currently the USS IOWA can be seen from Harbor Way and will be lit nightly for a spectacular viewing opportunity. Hours: daily, 9-5. Admission: adults $18; children 6-17 $10. Order tickets online by clicking here. Hours: Wednesdays to Sundays 12:00 to 5:00 pm; closed Mondays and Tuesdays. Admission by suggested donation: Adults $10; Chilrden under 14: $5. 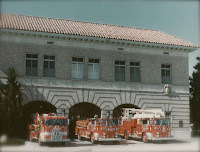 Today, the LAFDHS is home to the Fallen Firefighter Memorial, located in front of Museum 27 in the heart of Hollywood, California. 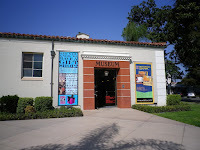 A second regional facility, Museum 36, is based in San Pedro. The organization is also the caretaker of Old Fire Boat No. 2, the Ralph J. Scott, the longest serving piece of apparatus in the city's history at 77 years. 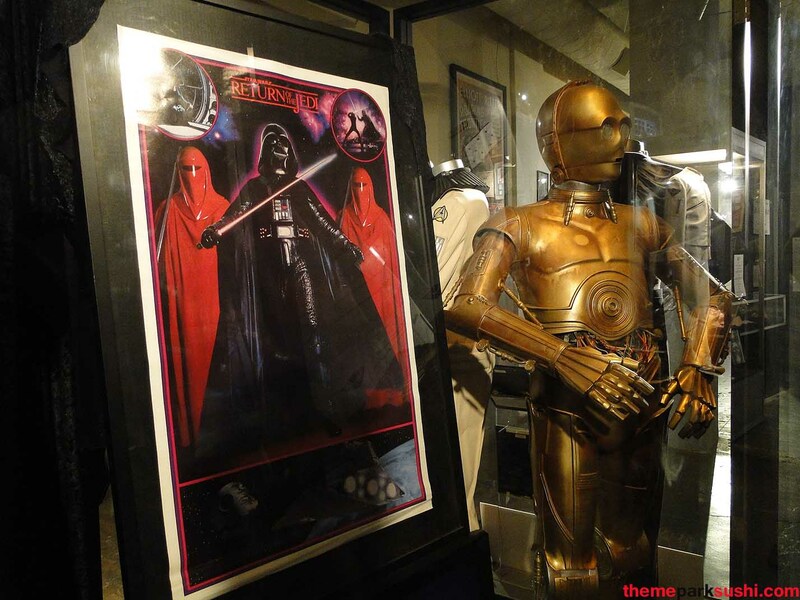 Hours: Hollywood: Saturdays only, 10-4. San Pedro: Saturdays only, 10-3. No admission fee is listed; call for info. (323) 464 - 2727. UPDATE: Their website appears to be down. Give a call before you plan a visit. Hours: Wednesday through Sunday 10 a.m. to 6 p.m.; closed Monday-Tuesday. Admission: adults $10; Free for Children Ages 11 and Under. 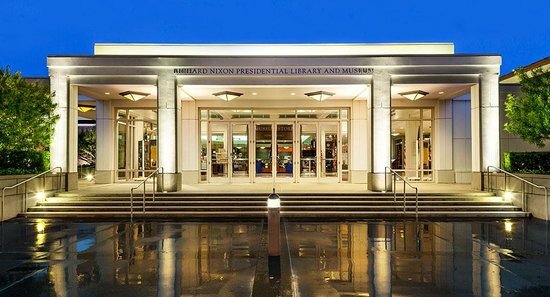 Tour the museum at the Nixon Presidential Library in Yorba Linda, California, situated on nine acres in southern California just fifteen minutes from Disneyland. In addition to exhibitions, the grounds include President Nixon's helicopter and birthplace. Visitors are also invited to see the special exhibit galleries, which show a variety of rotating exhibits related to our mission as a national institution and local landmark. Hours: Monday - Saturday: 10:00 a.m. - 5:00 p.m.; Sundays: 11:00 a.m. - 5:00 p.m. Admission: adults: $16 ($26 over the holidays); children 7-11: $6 ($16 over the holidays). Hours: Tuesday through Sunday: 10:00 am - 6:00 pm; Closed on Mondays. Admission: Adults $16, chidden 5-12 $8. 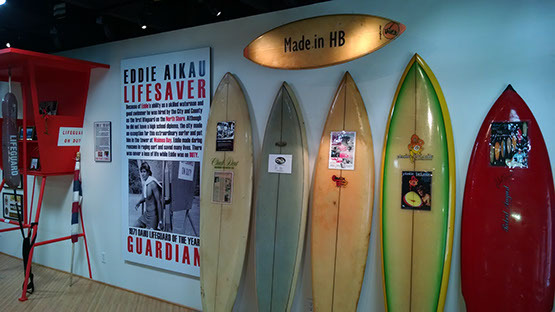 Included are sections for Duke Kahanamoku, surf music, surf art, classic surfboards and a Surf Theater devoted to the first Endless Summer movie which includes Bruce Brown's original camera. Hours: 12 to 5 pm, Monday, Wednesday, Thursday and Friday; 12 to 9 pm, Tuesday; 11 am to 6 pm, Saturday and Sunday. 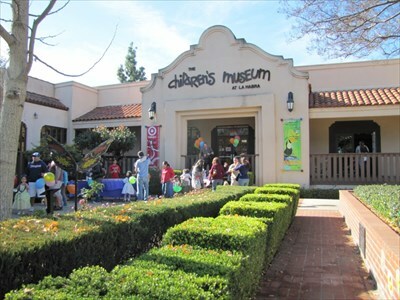 No admission prices are listed, but consider a membership for $20; support local art! The Children's Museum at La Habra opened in December 1977 and is located in a historic 1923 Train Depot. 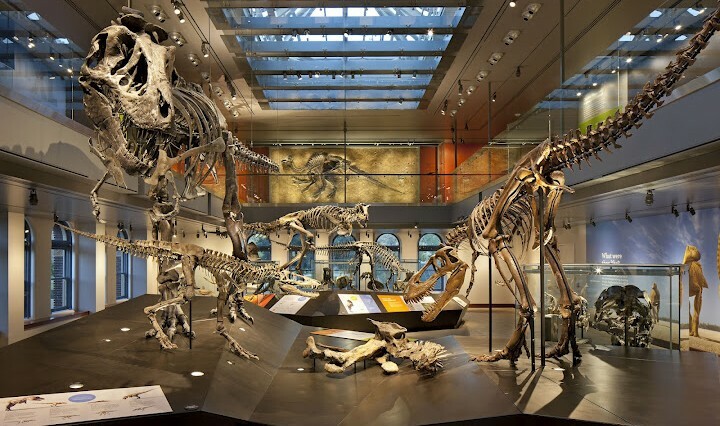 It features 7 galleries and 14 different hands on exhibits, many of which remain unique to the field today. In addition to these exhibits, an outdoor dinosaur topiary and historic 1942 caboose, the Museum features an exhibit which changes 4 times a year. Hours: Tuesday through Friday, 10 a.m. to 4 p.m.; Fridays open at 9 a.m. for CMLH Members; Saturday, 10 a.m. to 5 p.m.; Sunday, 1 p.m. to 5 p.m.; Closed Mondays and all Major Holidays. Admission: $10 per person. 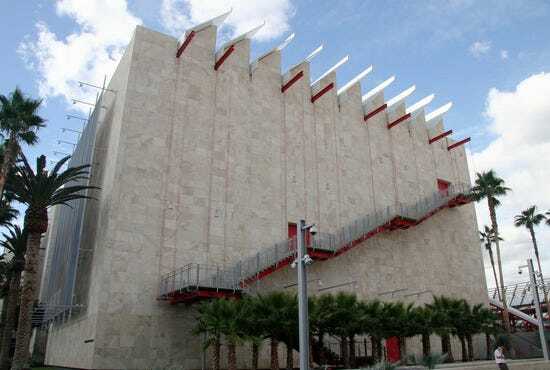 The Orange County Museum of Art (OCMA) is pleased to announce its 50th Anniversary as the oldest and most innovative modern and contemporary art organization in Southern California. 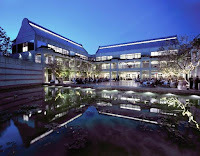 The museum has planned an exceptional series of events and exhibitions throughout 2012, which includes the long-awaited exhibition of Richard Diebenkorn’s Ocean Park series and the first retrospective in the United States of Jack Goldstein’s work, as well as a year- long series of twelve installations presenting highlights from the museum’s collection as thought- provoking pairings of artists. Hours: Mon-Tues: CLOSED; Wed- Sun: 11 a.m. - 5 p.m.; Thurs: 11 a.m. - 8 p.m. Admission: Adults $10; children under 12 are free. Hours: The Zoo is open every day except Thanksgiving Day, Christmas Day & New Years Day. Daily: 10am - 4pm (grounds close 5pm) Admission: Adults (age 13+): $10; Seniors (age 60+): $7; Children (age 3-12): $7. 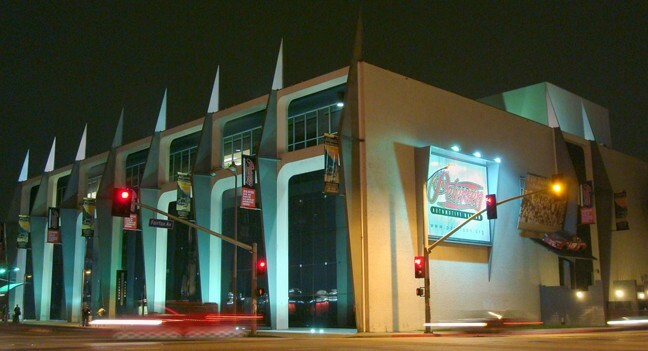 The building that houses today’s Hollywood Museum at 1660 North Highland at Hollywood Boulevard in Hollywood was originally purchased by Max Factor, legendary make-up artist to the stars, in 1928, just moments before the Great Depression. It would not be until 1935 that it was finally opened. Hours: Wednesday – Sunday: 10am – 5pm; closed Mondays & Tuesdays. Admission: Adults $15; 6-17 $12. Tickets must be purchased online; bring a printed receipt. 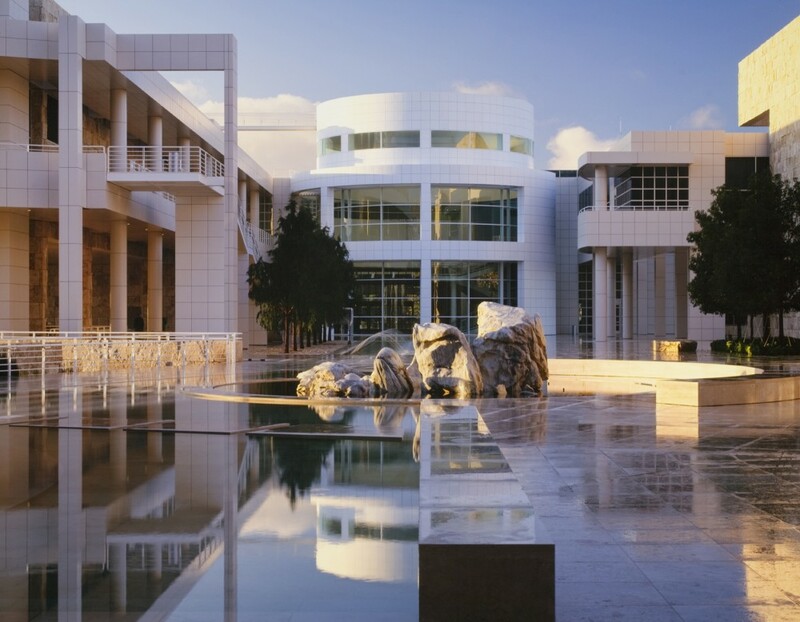 Hailed by The New York Times as "a lesson on how to connect the eye to heart and mind," the Skirball Cultural Center has established itself as one of the world's most dynamic Jewish cultural institutions, and among the leading cultural venues in Los Angeles. Its mission is to explore the connections between four thousand years of Jewish heritage and the vitality of American democratic ideals. Hours: Tuesday–Friday, 12:00–5:00 p.m.; Saturday–Sunday, 10:00 a.m.–5:00 p.m.; closed Mondays. Admission: Adults $12; children 2-12 $7. Be sure to comment below to express your interest in traveling as a group. 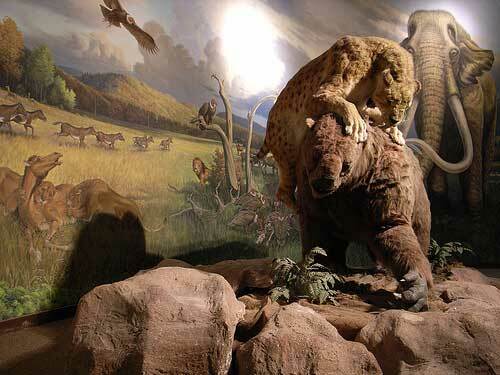 Hours: Open daily 10AM-5PM; free admission; parking is $10. 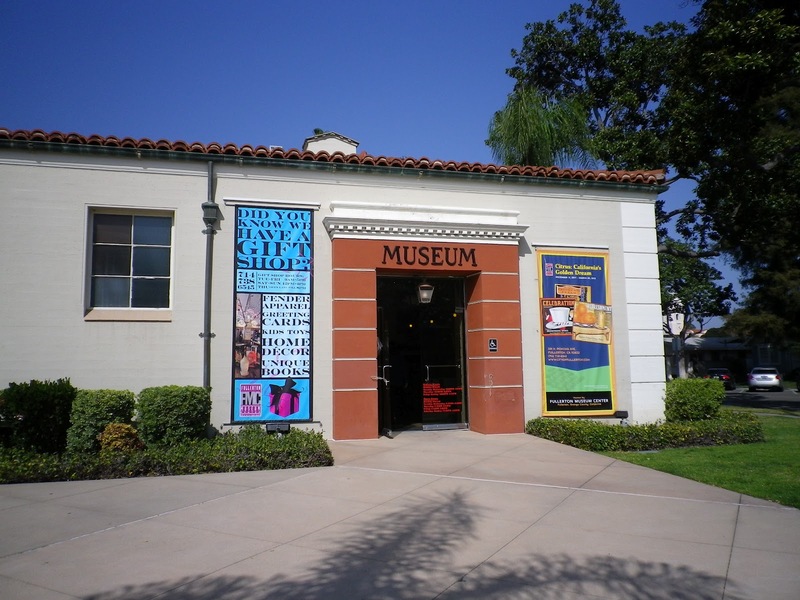 Founded in 1936 by the City of Santa Ana through a bequest from Charles and Ada Bowers, the Bowers Museum is one of California's finest and Orange County's largest museums. 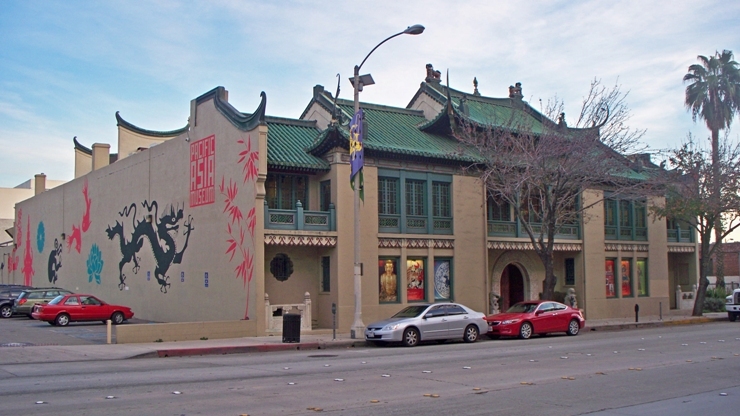 In 1986, the museum closed its doors for a period of self-study. 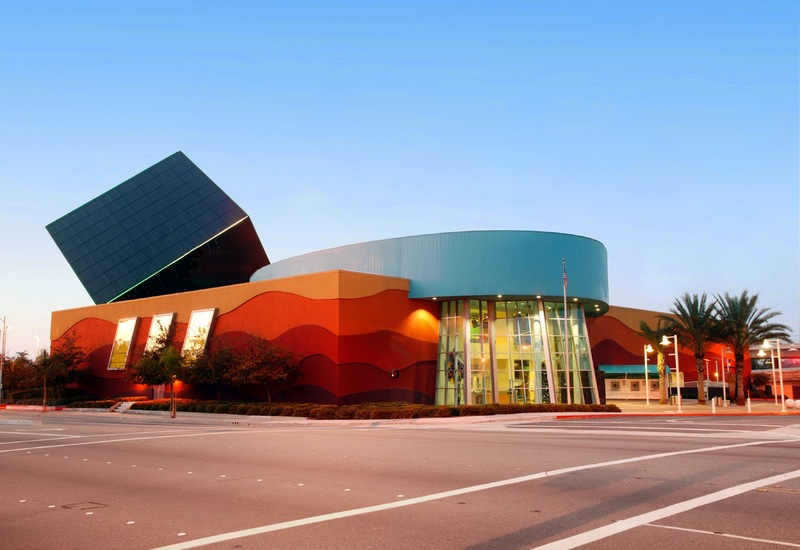 In response to community needs and input, it reopened in 1992 as a new cultural center, and expanded children's programming in 1994 with the opening of the Kidseum. Hours: TUESDAY - SUNDAY, 10:00 am - 4:00 pm; closed Mondays. Admission: Adults $23-15, children under 12 free. 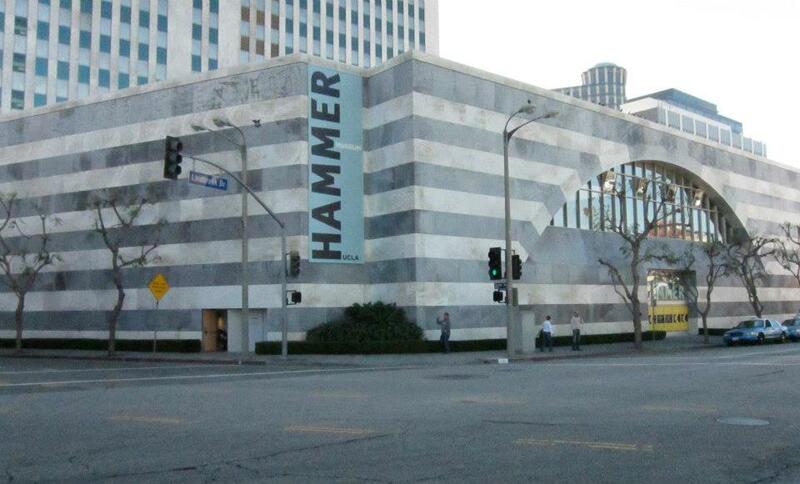 programs, the Hammer examines the depth and diversity of artistic expression through the centuries with a special emphasis on art of our time. At the core of the Hammer's mission is the recognition that artists play a crucial role in all aspects of human experience. The Hammer advances UCLA’s mission by contributing to the intellectual life of the University and the world beyond. Hours: Tue - Fri 11am - 8pm; Sat & Sun 11am - 5pm; closed Mondays. Admission: Free! 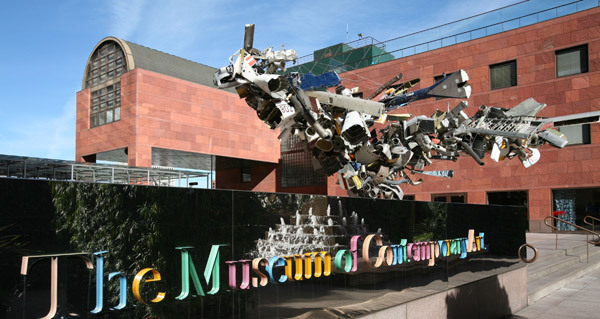 Founded in 1979, MOCA is the only museum in Los Angeles devoted exclusively to contemporary art. 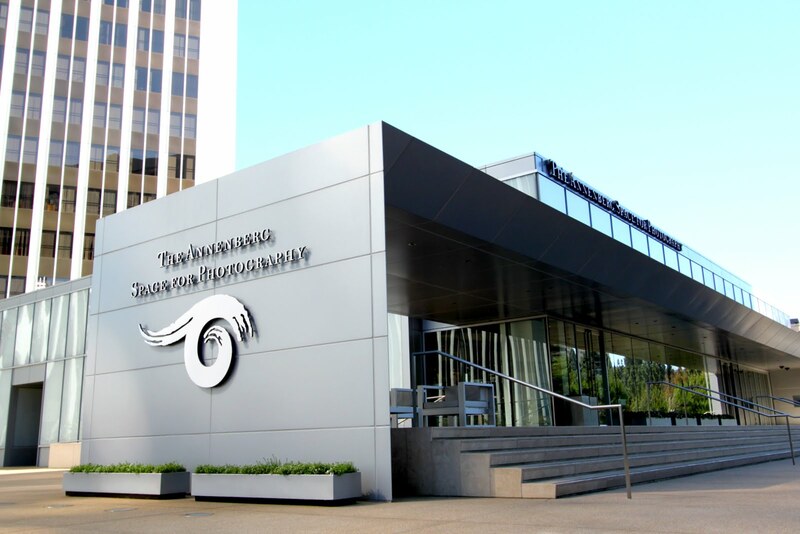 It is committed to the collection, presentation, and interpretation of work produced since 1940 in all media, and to preserving that work for future generations. In a remarkably short time, MOCA has developed one of the nation's most renowned permanent collections. Hours: MON 11am–5pm; TUES, WED CLOSED; THURS 11am–8pm; FRI 11am–5pm; SAT, SUN 11am–6pm. Admission: Adults $15; children under 12 free. Hours: Wed-Sun: 11am - 6pm; closed Mondays & Tuesdays. Admission: free; parking is $3.50. Bring ticket to have it validated. Hours: Monday 11 am–5 pm; Tuesday 11 am–5 pm; Wednesday closed; Thursday 11 am–5 pm; Friday 11 am–8 pm; Saturday 10 am–7 pm; Sunday 10 am–7 pm. Admission: Adults $15; under 18 free. They also offer wifi in the museum and on the grounds. Click here to go to the online scavenger hunt when you visit! 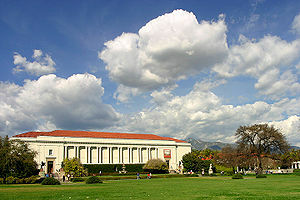 Located in the heart of metropolitan Los Angeles, the Page Museum at the La Brea Tar Pits is one of the world’s most famous fossil localities. 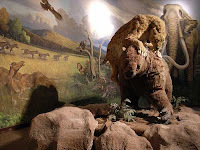 This onsite Museum displays Ice Age fossils — including saber-toothed cats, dire wolves and mammoths — from 10,000 to 40,000-year-old asphalt deposits. Hours: Open 9:30 am to 5 pm every day of the year. Admission: Adults $12, 13-17 $8, 5-12 $5. Hours: open seven days a week, 9:30 am - 5 pm. Admission: Adults $12, 13-17 $8, 5-12 $5. 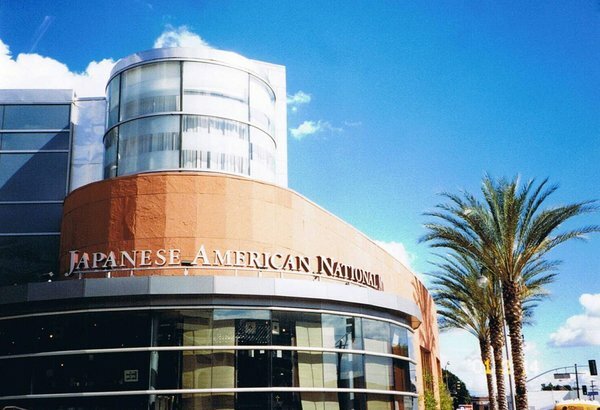 The Japanese American National Museum is the largest museum in the United States dedicated to sharing the experience of Americans of Japanese ancestry. The founding of the Museum is a story of high hopes, remarkable achievements, frustration, and ultimately, success. Hours: Tuesday, Wednesday, Friday, Saturday, & Sunday: 11AM to 5PM; Thursday: 12PM to 8PM; closed Mondays. Admission: Adults $12, children 6-17 $6. *Free general admission every Thursday from 5 to 8 PM and every third Thursday of the month. The Autry is an intercultural history center dedicated to exploring and sharing the stories, experiences, and perceptions of the diverse peoples of the American West. 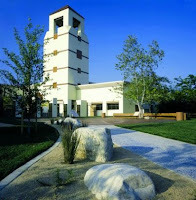 Located in Griffith Park, the Autry’s collection of over 500,000 pieces of art and artifacts, which includes the collection of the Southwest Museum of the American Indian, is one of the largest and most significant in the United States. Hours: Tuesday – Saturday: 10:00 a.m.–4:00 p.m. Sunday: 11:00 a.m.–5:00 p.m. Closed Mondays. Admission for adults is $14; children 3-12 $6. Hours: open 7 days a week, 10am – 5pm. Admission: Adults (ages 13 - up): $16; Seniors (age 62 and up): $13; Children (ages 2 to 12): $11; Children (under 2): FREE; Parking: FREE. Hours: Hours: 10:00 a.m. to 5:00 p.m.; closed Tuesdays. Admission is $25 weekdays, $29 weekends; 4-11, $13; Under 4 free. 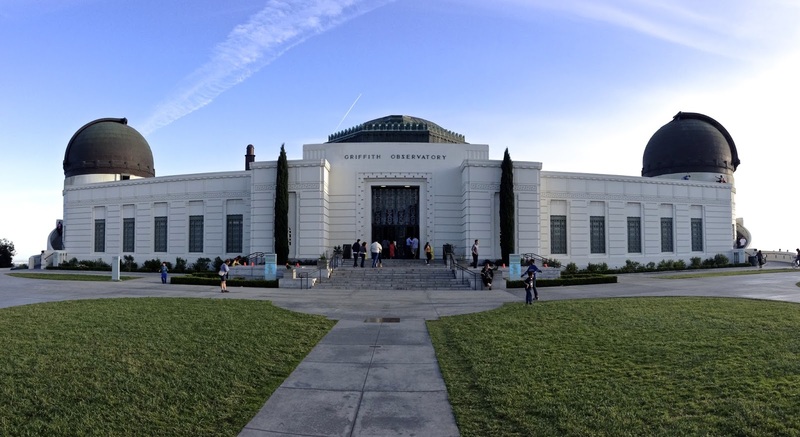 The Griffith Observatory is an icon of Los Angeles, a national leader in public astronomy, a beloved civic gathering place, and one of southern California's most popular attractions. The Observatory is located on the southern slope of Mount Hollywood in Griffith Park, just above the Los Feliz neighborhood. It is 1,134 feet above sea level and is visible from many parts of the Los Angeles basin. Hours: Weekdays (Tuesday-Friday): Open 12:00 noon - 10:00 p.m. Weekends (Saturday-Sunday): Open 10:00 a.m. - 10:00 p.m. Mondays: closed. Admission is free. 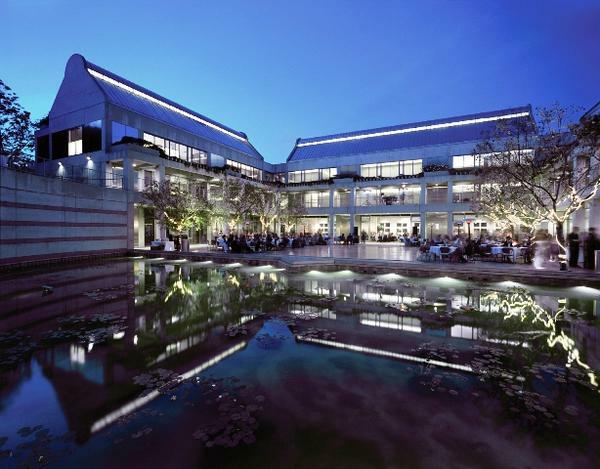 The Norton Simon Museum promotes the knowledge and understanding of the visual arts to a diverse audience. Whether your preference is for small, informal discussions with staff educators, lectures by renowned scholars and curators or drawing classes led by local artists, the Museum invites you to experience the richness of the collections in many different ways. Enjoy family-friendly programs that introduce children and adults to the wonderful world of art and spark the creative spirit in kids of all ages. Hours: Monday: 12:00 noon - 6:00 p.m.; Tuesday: closed; Wednesday: 12:00 noon - 6:00 p.m.; Thursday: 12:00 noon - 6:00 p.m.; Friday: 12:00 noon - 9:00 p.m.; Saturday: 12:00 noon - 6:00 p.m.; Sunday: 12:00 noon - 6:00 p.m. Admission for Adults is $12; children 18 and under are free. 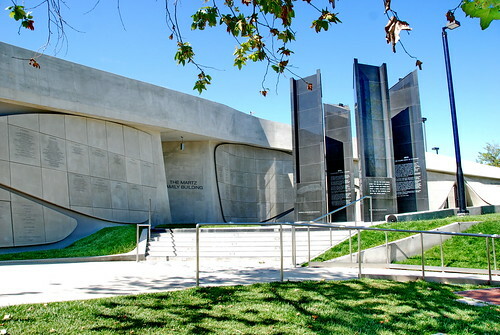 Los Angeles Museum of the Holocaust presents the history of the Holocaust as objectively as possible. 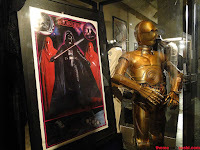 For this reason its exhibits presents as many original artifacts as possible and displays them in a way that allows them to tell the individual stories they contain. Click here to check out their annual report, and see some photos. HOURS: Mon - Thu: 10:00am - 5:00pm. ; Fri: 10:00am - 2:00pm; Sat - Sun: 10:00am - 5:00pm. Admission is free. The Gamble House in Pasadena, California, is an outstanding example of American Arts and Crafts style architecture. The house and furnishings were designed by Charles and Henry Greene in 1908 for David and Mary Gamble of the Procter & Gamble Company. 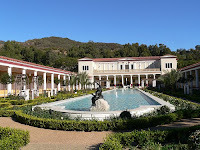 HOURS: 1-hour Docent Guided Tours: First tour at 12 noon, last tour at 3pm. Thursday & Friday: Guided tours every 30 minutes. Ticket sales start at 10am. Saturday: Guided tours every 20 minutes. Closed Monday-Wednesday. Ticket sales start at 10am. Sunday: Guided tours every 20 minutes. Ticket sales start at 11:30am. Adults $10; children under 12 are free. The Getty Center in Los Angeles presents the Getty's collection of European and American art from the Middle Ages to the present against a backdrop of dramatic architecture, tranquil gardens, and breathtaking views. HOURS: Monday CLOSED; Tuesday-Friday & Sunday 10:00 a.m.–5:30 p.m.; Saturday 10:00 a.m.–9:00 p.m. Admission is free; parking is $15. Open Wednesday-Monday 10:00 a.m.–5:00 p.m.; Tuesday CLOSED. Admission is free; parking is $15. Reserve free tickets online by clicking here. Elementary educator, photographer, Mac user. 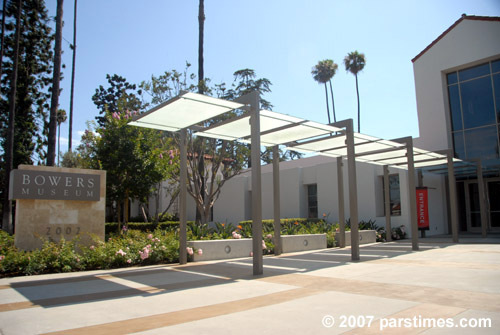 Palos Verdes HS class of '81, Vanguard U class of '86, MEd Cal Poly Pomona, Educational Multimedia, '06. Copyright S Rogers 2012. Travel theme. Powered by Blogger.